I’m not sure but I think this place is a Michigan (unofficial) institution. 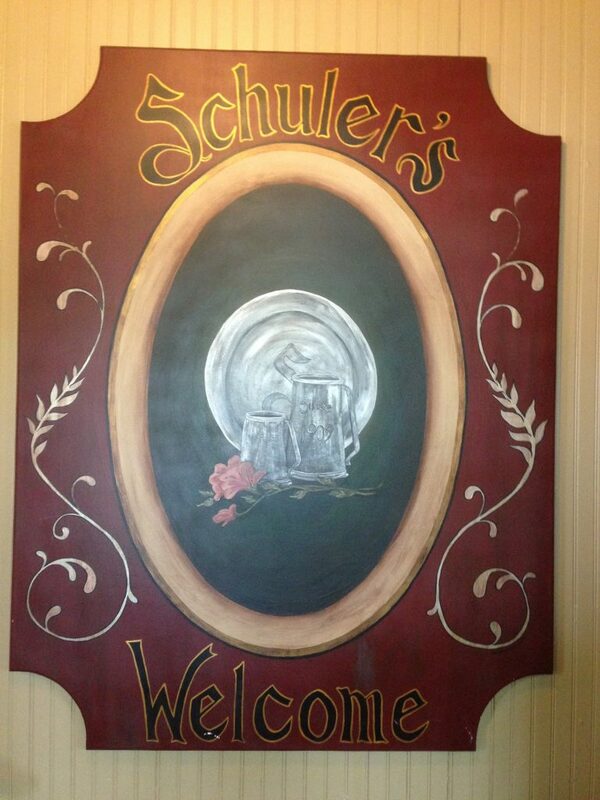 Schuler’s Restaurant and Pub (the pub is called Winston’s) has been in existence since 1909 located in Marshal Michigan. 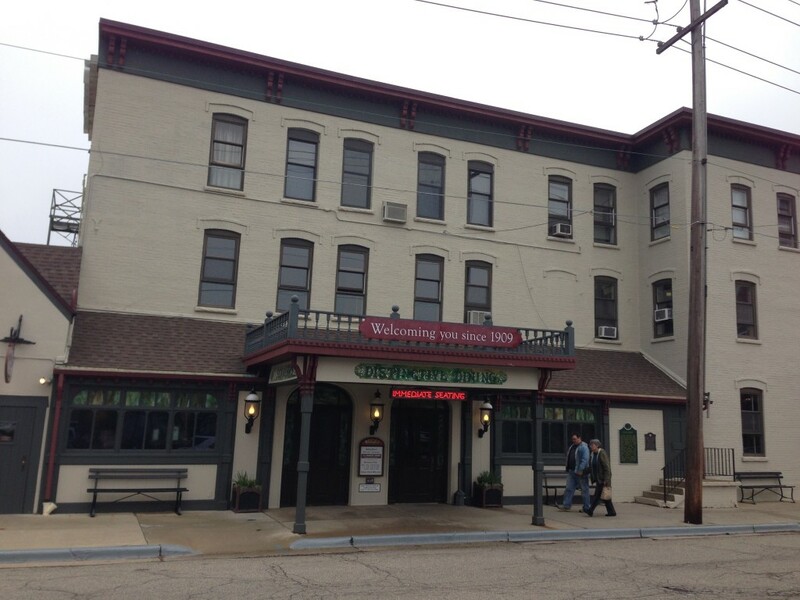 This place is a time capsule of sorts and reminds me of a Bavarian inn. According to the brochure they gave me, Albert Schuler Sr. opened as a combination cigar store and restaurant. It continued to grow as various family members through history added on to it. The tables are covered with white and brown checkered clothes and in the main dining area there are murals on all the walls. The way Marshall must have looked back in the early 1900’s. There are quotes from on the wood beams throughout the main dining area. I would have taken a photo but the folks at the table next to us might not want to be added to this blog. Currently, they have enough room for 1000 people to be seated at the same time. This usually only happens on holidays when they have their buffet. And it is massive and spectacular! I happened to enjoy one of these buffets on my anniversary one year and that was when I discovered Double Colchester with Onions and Chives. 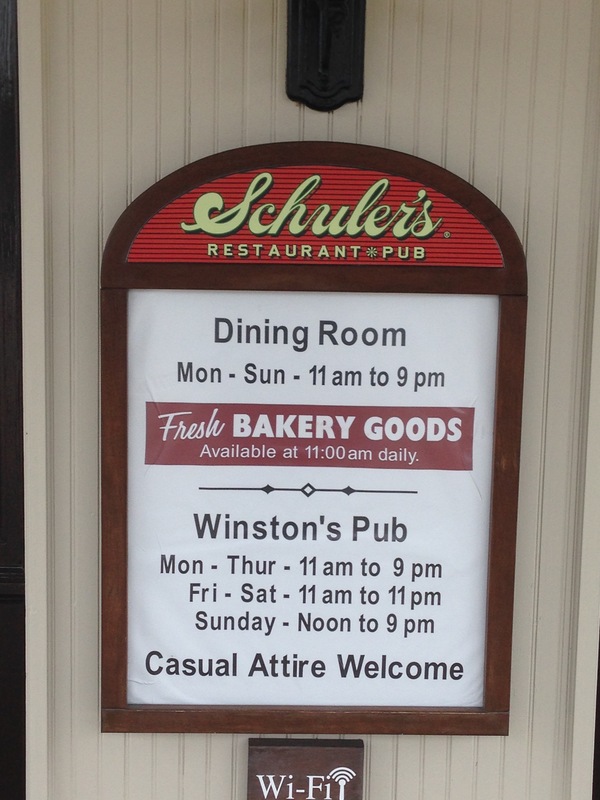 Too bad we missed out on that..
From what I understand the menu in the Winston’s Pub side is different. We didn’t have time to eat two meals so I can’t really comment to that but here’s a sample of the menu. 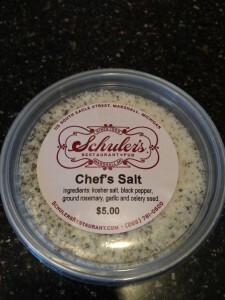 Schuler’s Chef’s Salt for sale in the lobby. 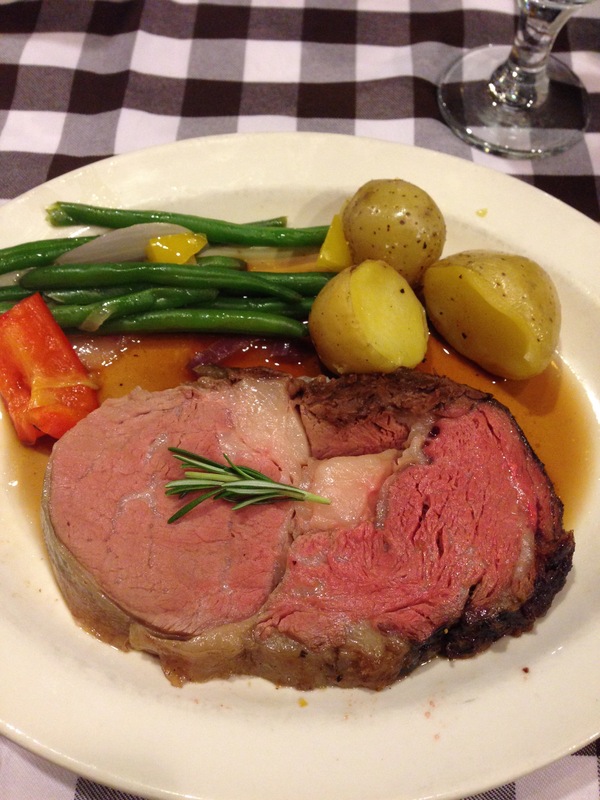 Their signature dish is the Prime Rib but they really do a lot of things well. 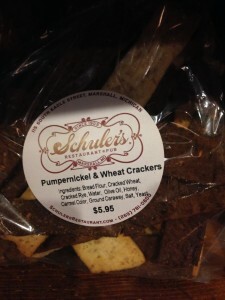 The first time I stopped here was when I was working in the Detroit area and I heard about Schuler’s. I decided to stop on my way home. So far I’ve eaten here about 4 times. Of course I had to try the prime rib and it was excellent. I like how they season it and it’s very tender. I’m a fan of rosemary on beef and they must agree. I picked up a container of their seasoning this trip. If you look close at the photo you can read the ingredients so I think I might be able to figure this out. I do make my own rub for Prime Rib that consists of Rosemary, Thyme, Garlic Salt and various other ingredients. I believe all slow roasted meats need a good coating of spices/seasonings. But, everyone has different idea’s don’t they? My husband and I both got the prime rib on this most recent visit. It was tender and cooked perfectly. I should have ordered the end cut though. It has the most seasoning on it. On the side are baby potatoes, fresh green beans and horseradish mayo for the steak. 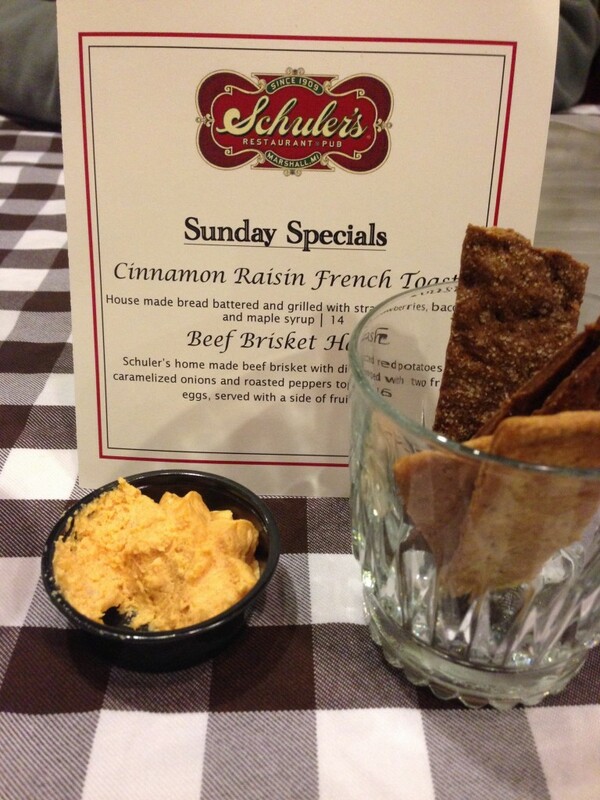 Of course they bring out their signature cheese dip and house made crackers. I’m not sure but I think you can buy the cheese dip in some grocery stores. There is also a very nice selection of wine, beer and spirits. I decided on a Mimosa because …why not? While I was waiting on my lunch I browsed their front entry where you can purchase bread, cookies, house made crackers and others items. 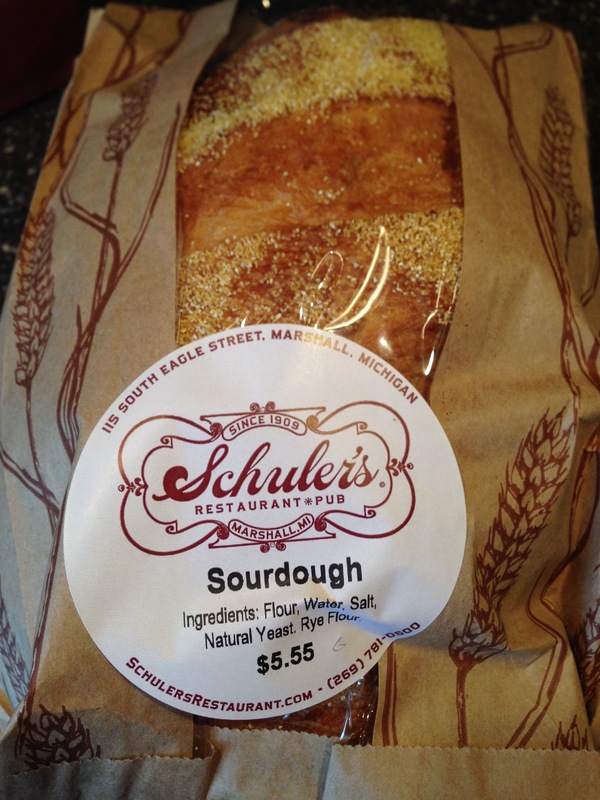 There is a schedule posted of which fresh artisanal breads they bake each day. Today, Sunday, they made Bavarian wheat, Sourdough, Honey Oatmeal and Cranberry Walnut. My daughter picked out a Sourdough to take home to my in-laws (which they loved). We also bought chocolate cookies for the ride home. House Made Crackers for purchase.